There’s nothing quite like the vintage hunt. It’s the feeling of finding that perfect piece that you can’t live without: whether a long sought-after treasure or an unexpected and special find that catches your eye. And while we have our go-to sources for antiques and vintage in the Bay Area, we’ve turned to some of our favorite interior designers and expert tastemakers for the best spots in our newest city, Los Angeles. One recommendation that came up time and again? Casa Victoria. Casa Victoria has an ever-changing inventory that Hollywood set decorators, interior designers and stylish clientele alike keep an eye on as weekly shipments of beautiful items arrive. 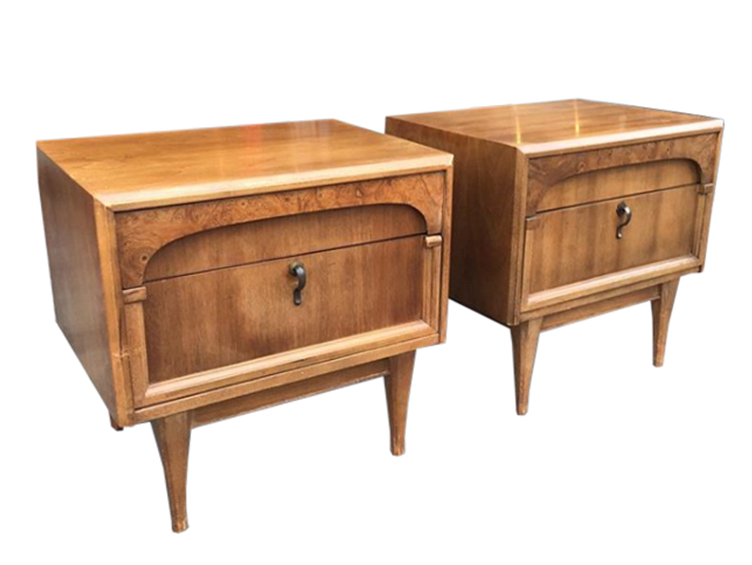 While the broad selection spans many eras and styles (you’re just as likely to fall in love with an antique vanity as you are a Brutalist credenza! ), the shop is curated with a sharp eye. The highly knowledgeable and friendly staff can educate not only on the maker of a piece, but also the backstory of a piece’s personal history. 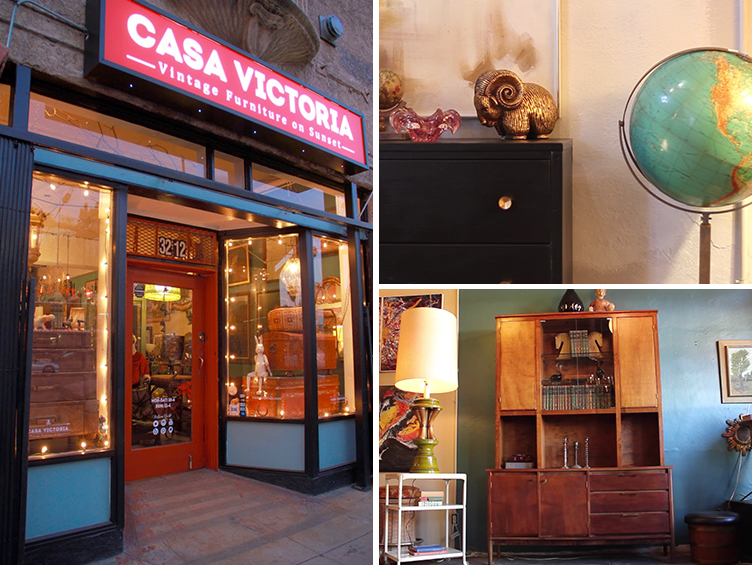 With excellent (and fair) prices, Casa Victoria is one of LA’s best vintage sources, especially for those looking for pieces with great bones (aka great revitalization candidates!). We’ve partnered with Casa Victoria to reimagine a selection of their beautiful finds. Read on to see our design recommendations - from bold lacquer to fresh upholstery fabrics (all found on our newly launched Textile Library). The rounded, plush sofa is having a serious comeback, and this frame in particular could carry just about any color and look amazing. 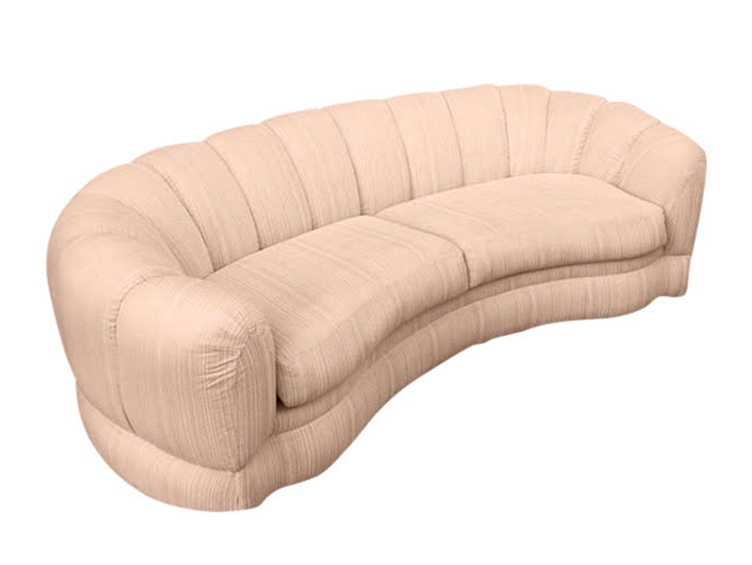 We’d breath new life into this find by revitalizing it in a pale blush pink for the modern age. This bold sofa is surprisingly versatile: it’s just as easy to picture it in a pink, chinoiserie de Gournay wallpapered parlor room as it is a minimalist living room filled with contemporary finds. These Hollywood Regency style dining chairs are divine! The white painted frames are in good condition and we love the light patina on the brass sabots. While the current pink fabric is adorable, we’d love to see these revitalized in a modern graphic print like James Malone’s “Van Allen” fabric in emerald color way. Worried about young kids or other messy eaters at home destroying a a pretty printed fabric? Laminate it with a matte finish so the fabric is indestructible!! This small case piece would be a fabulous bar cabinet (we’re imagining some gorgeous vintage barware housed inside). To bring out more of the beautiful carved detail, we’d revitalize this piece in a glossy emerald green lacquer, and replace the door pulls with polished brass handles to give it an extra bit of glamor. We love seeing a settee as a statement-making piece in an entryway or landing. 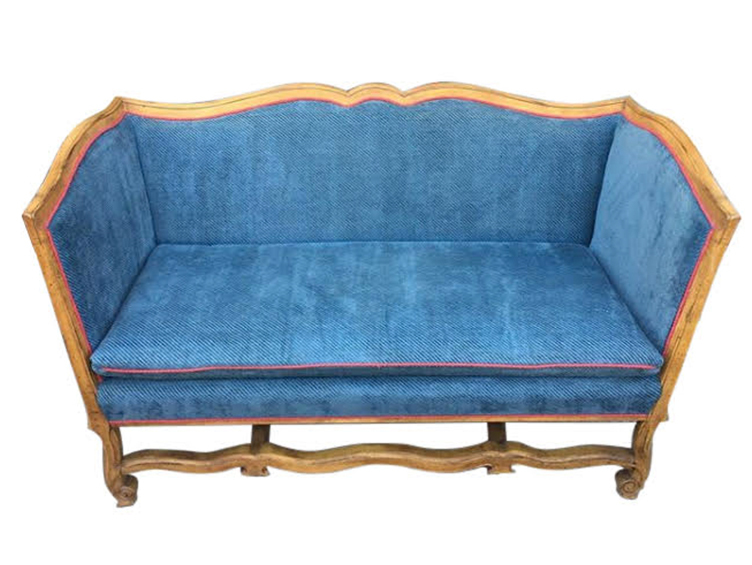 We’d revitalize this classic beauty by ebonizing the wood frame and reupholstering it in a bold patterned upholstery fabric, like Clay McLaurin’s “Band” in jet color way. 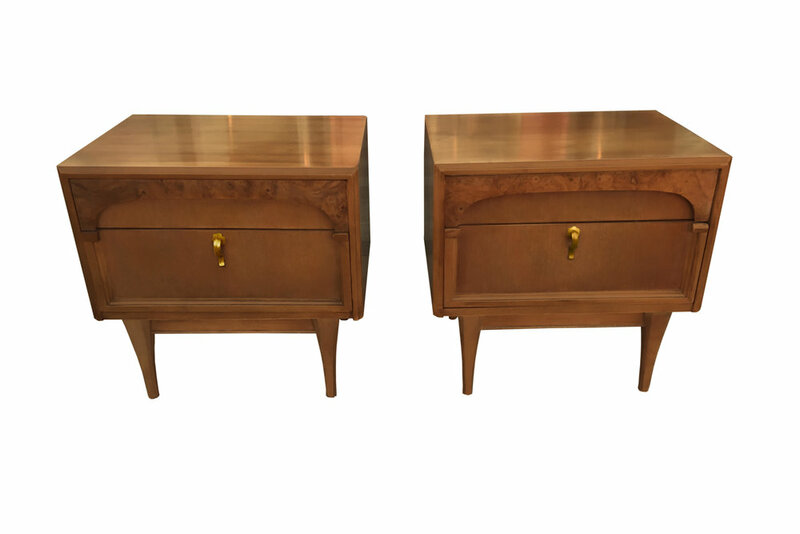 These classic midcentury nightstands have a versatile and low-profile design. All they need is a simple restoration to the wood to bring them back to their former beauty. We’d metal plate the existing hardware in a polished brass to add a modern metallic pop to the classic mid century design. Or for a more unique look, swap out the existing hardware for leather pulls or horn/bone knobs! The timeless shape of these chairs feels dressy no matter the upholstery choice - and they can carry just about any pattern. We would opt to revitalize these chairs in a bold botanical print, like Dedar’s “About Flowers” in the volcano color way. 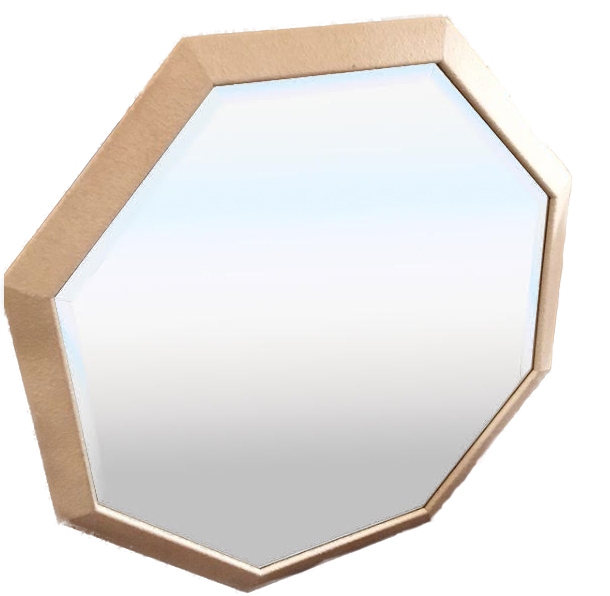 We love the octagonal shape and large scale of this mirror - so much potential! We’d revitalize this mirror by wrapping it in a textural wallpaper like Elitis’s “Anguille Big Croco”. Feeling inspired by these reimagined vintage pieces? Let us give your piece a modern makeover! Get a revitalization quote here, or get design guidance here.